You may fancy yourself as something of a dirt king, but have you met the ultimate Mudmaster? 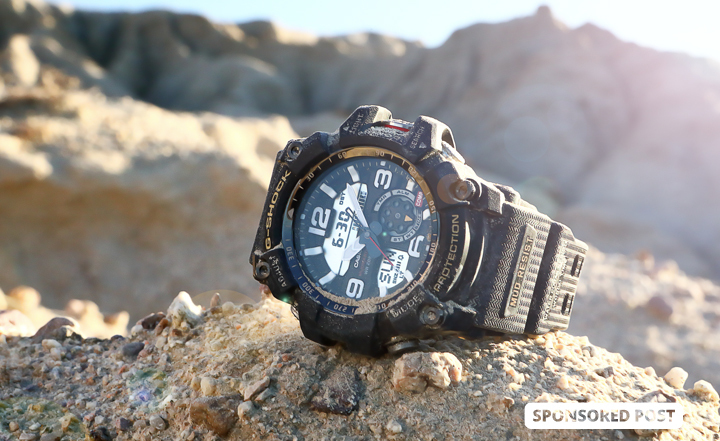 This is a G-SHOCK watch born to take the dusty, rocky trail to glory and there’s no better watch capable of taking the shock of dirt jumps. The G-SHOCK was first introduced by Casio in 1983 as a tough watch born to take the knocks, and capable of taking ‘big air’ drops of up to ten meters without sustaining damage. Very impressive, but as time passed the G-SHOCK engineers inevitably wanted more. Read more about When Dirt Biker Meets Mudmaster at DirtBikes.com.